Thread: Optical to Analog Converter? Hey gang hope you all can help me out on this one. I am trying to find a converter from an Optical Audio Cable to an Analog Cable. What i am doing is setting up a PS3 to a monitor which i already have done but now i face the problem of no sound. I have two cheap analog speakers and at the moment this is the only resolution i have come up with. I am trying to keep this cheap so If you guys have any answers or words of advice it would be greatly appreciated. Optical is digital and you'd need something to convert the digital to analog. In addition, if your speakers aren't amplified you will need something to power them. What type of outputs are on the PS3? HDMI, USB, analog L/R? An optical to analog audio converter is called a "DAC" (digital to analog converter). Unfortunately DACs are more complicated than simple adaptors and are more expensive. But before we talk about DACs, the PS3 has analog outputs; why don't you use these to feed your speakers? If I'm not mistaken, the PS3 comes with a "AV MULTI OUT" connector to which you can insert the supplied AV Cable that ends with three connectors: Video, Left Analog, and Right Analog -- use the latter to connect to you speakers. If there is some reason you can't use them, then please describe the connections a little more clearly. 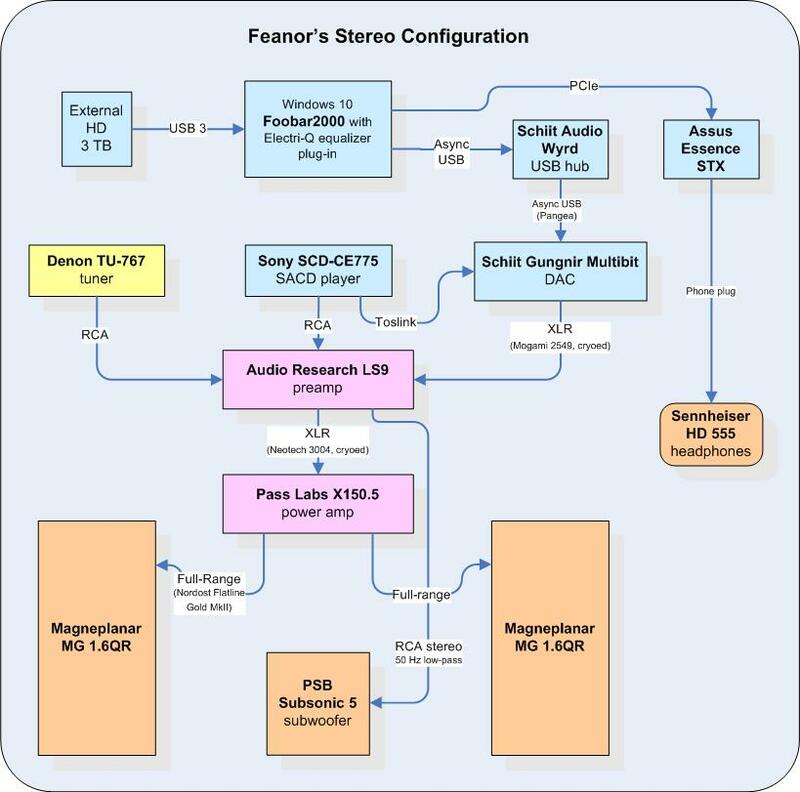 Are you "analog" speakers self-powered (like most computer speakers)? Do they have a volume control (or controls)? Are the speakers fed (like most computer speakers) from a single, stereo 3.5mm mini-plug, or does each have it's own RCA plug? Last edited by Feanor; 01-02-2010 at 09:10 AM. It looks like your best bet may be to find a used home theater receiver that has optical audio input. If you have Craigslist in your area this shouldn't be hard since many people are selling older receivers to buy new with HDMI. If your only criteria is something with an optical input and power to drive your speakers a used receiver should be easily found for under $100.00. But first our poster should read my post to save himself some money. It isn't at all clear why he doens't just use the analog outputs of the PS3. Yeah you are correct i am sorry, the PS3 does have the analog outputs and i should have made my first post a little more clear. Your last paragraph is a correct assumption, I have simple Computer speakers and they do have their own volume control on the speaker itself, they are fed from a 3.5mm mini-plug (so they are intended to insert into a female end), and they are self-powered. I ultimately am trying to find a way to use these speakers to get sound out of my PS3 if possible. So i then assume that there is a way to connect the left and right analog cords to the speaker? however there are no places on the speaker to put them in. I hope that makes some since. Sorry, the model of PS3 I saw online didn't show analog. Any way if the speakers don't have RCA jacks just to connect to PS3, go to Radio Shack or some place and get a cable with RCA male which should go to the PS3 and mini plug female which you should be able to plug your speakers into. okay, sounds good but i have one final question, wont i need RCA Female to Mini plug Female, because the RCA cables from the PS3 are male once they split from the "AV Multi. Out"? Absolutely, and this is a simple adaptor. 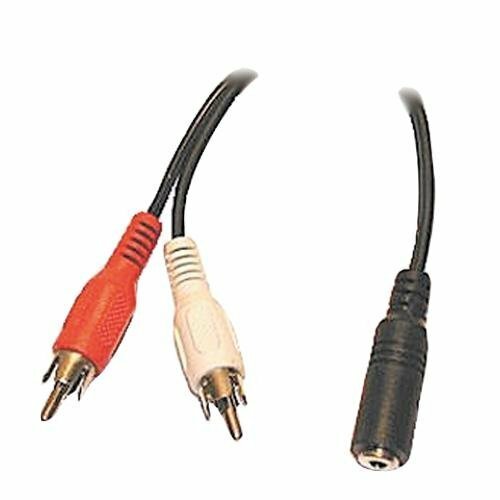 Ideally you would find a female RCA pair -to- female 3.5mm stereo adaptor, but I haven't see one of these. Instead you might have to go with a dual female RCA -to- male 3.5mm stereo adaptor, see HERE, feeding a 3.5mm female/female coupler, HERE, and hence your speakers' input cable. Well not exactly, because the RCA ends are male and the PS3 cord are male so he'd also need a pair of RCA gender changers such as THESE. With the cable I showed, I'm just referring to plugging the male RCA ends into the PS3. A PS3 doesn't have female RCA jacks? Actually no, it doesn't. It has something called an AV MULTI OUTPUT, (see my earlier response). fantastic, thanks guys. just got the parts i needed and it works like a charm. i will keep coming back here when i get more audio questions. Thanks again.